Executive pay has grown from 60 times that of the average worker to almost 180 times since the 1990s, according to a report. The High Pay Centre, a think tank, said shareholders were still backing high executive pay deals despite new powers to vote them down at annual meetings. 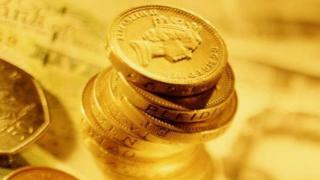 The pay of the average FTSE 100 chief executive increased from £4.1m to £4.7m last year, said the report. The government should take action to close the pay gap, it said. In October, new rules came into effect forcing listed firms to give shareholders a binding vote on directors' pay. A firm's remuneration policy now requires the approval of more than 50% of shareholders for a policy to pass. Business Secretary Vince Cable introduced the shift to make a "clearer link between pay and performance". The High Pay Centre's report says that, without further action, trust in business will be damaged by the perception that an executive "elite" is reaping all the rewards from economic growth. "The government's tinkering won't bring about a proper change in the UK's pay culture," High Pay Centre director Deborah Hargreaves said. "A maximum pay ratio would recognise the important principle that all workers should share in a company's success and that gaps between those at the top and low and middle earners cannot just get wider and wider." Last week, 52% of shareholders voted not to support the remuneration report at fashion house Burberry, in a rare stand against large salaries. It is rare that protesting shareholders are in a majority, having happened just six times since 2000. Among the most recent examples was that of the insurance giant, Aviva. In 2012 investors voted against the pay package of the then chief executive, Andrew Moss. Are we living in the Second Gilded Age?